Braces are one of the most commonly used solutions to achieve a perfect smile or perfect bite. If braces are indeed the solution for you, then modern orthodontia offers you a verity of braces to choose from like ceramic braces, Lingual braces, Invisalign, Traditional metal, Golden metal, Self-ligating brackets and lot more. Now a days, patient are more confused between two types of braces i.e. Clear vs Metal braces. Sometimes your choice span becomes limited as every solution doesn’t work for everyone. The type of braces you get depends largely on the severity of your problem as well as preferences of your dentist or orthodontist. You can have a combination of metal and clear braces depending upon your case. It is a common practice now a days, that patient have upper six clear brackets and remaining teeth at back and the lower ones have metal brackets. In addition to these, time and cost of treatment also play crucial role while taking decision about type of braces. Most important is your personal preference, may be you feel embarrassed in metal braces or maybe you are more comfortable with clear braces or you don’t care as long as the outcome is good. So all these and many other factors count. Clear braces are becoming the first choice of adult patients as by having them, they are now able to improve the appearance and function of their smile without attaching the stigma of a metal mouth. Following are some pros and cons of clear braces. Appearance First and foremost reason, why patient go for clear braces is the appearance, they are much less noticeable than traditional metal braces, although they are of the same size and shape as metal braces. Clear and ceramic braces has offered an aesthetic alternative for those, who were seeking options other than traditional metal braces. Patients feel more confident about their orthodontic treatment with clear braces, as they know that people are focusing on their smiles rather than their braces. Discoloration is the major problem that is associated with clear braces. At first, the clear elastic ties that are used with clear braces looks good but with passage of time, they may become slightly discolored. Discoloration occurred mainly from intake of different liquids like tea, coffee, wine, eating certain foods, or smoking. Ceramic and clear braces are expensive as compare to traditional metal braces. The reasons behind is material itself as well as the amount of time and training to place clear braces also counts, as the method to place clear braces is different from traditional metal brackets. Although it is said that both treatments take equal time but in actual orthodontic treatment with clear or ceramic braces may take longer than with traditional metal braces. If you are ready to invest a little more time in your smile, then time factor is no problem. When you the word “Braces” metal brackets and wires come into your mind. the word “braces.” Thanks to orthodontic advancements, now modern brackets are smaller and new heat-activated arch wires use your body heat to help teeth move more quickly and less painfully than in the past. Here are some advantages and disadvantages of metal braces. Traditional metal braces take slightly less time to correct the some specific orthodontic problems such as spacing, as they tend to have less friction which is important while closing spaces. One major con of having braces is the embarrassment that especially adults feel while talking or laughing. Metal braces are most noticeable type of braces. In case of children, it becomes also worse to have braces. 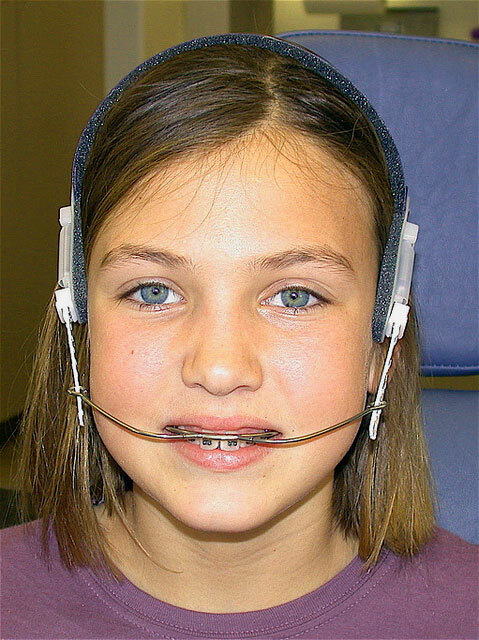 According to the Northwest Indiana Times, children are often harassed and teased at school for having metal braces. Though it is not in every case but there is always possibility of damage to teeth during orthodontic treatment. Sometimes the roots of a tooth may be damaged during the process of putting on metal braces, and as a result tooth may die. Enamel damage tooth of is very common if metal brackets placed incorrectly or if they shift and scratch the tooth’s surface. Clear Braces OR Metal Braces? You are using clear braces or metal braces or a combination of both as discussed above, there are some things that you have to wear in any case such as metal archwire, a wire that runs across the front side of your teeth. It will be visible to others. In order to minimize its shiny appearance, your orthodontist may offer to place a “frosted” or “coated” wire. In addition to the archwire, elastic bands is the accessory you have to use with all types of braces. They are mainly used to bound the archwire to each bracket.